Introducing BoysonTech Boomerang E2 board. An affordable, reliable 512kB memory upgrade. The smallest RAM upgrade available for the Tandy Color Computer 3 (CoCo3). 512 KB SRAM - low power consumption, no external power source needed. 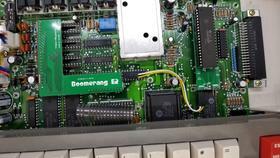 Small footprint - same size as the original 512kB boomerang. More efficient and cooler than DRAM - no cooling fans needed. 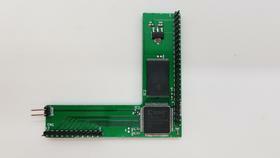 Buy the E2 board with a Guardian+ CPU board and upgrade to 2 Meg.